General Thaddeus E. "Thunderbolt" Ross is a fictional Character who appears in comic books published by Marvel Comics. Ross is a United States military officer, the father of Betty Ross, ex-father in-law of Glenn Talbot, father in-law of Dr. Bruce Banner, and was head of the Gamma Bomb Project that turned Banner into the Hulk. After the creation of the Hulk, Ross pursues the creature with a growing obsession, and after learning that Banner and the Hulk are one and the same, Ross hunts Banner as well. In 2008, Ross appeared as the Red Hulk, into which he had been transformed in order to better combat his nemesis. More about Red Hulk (Marvel Comics) Character Review - Keep on reading !! 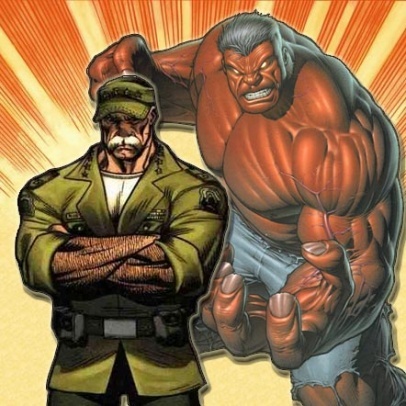 In 2009, Thunderbolt Ross was named IGN's 71st Greatest Comic Book Villain of All Time. Ross is a General in the Air Force who is in charge of Bruce Banner's gamma bomb project. His daughter, Betty, takes a liking to the young scientist, a fact which only enhances the dislike the rough Ross has for the "weakling" scientist Banner. After Banner's transformation into the Hulk, Ross spends years chasing the monster, becoming obsessed enough with it to commit treason by allying himself with the Leader, MODOK and the Abomination in order to destroy the Hulk. Dishonorably discharged, he shows up at Betty and Bruce's wedding with a gun, and shoots Rick Jones. He is recruited by S.H.I.E.L.D. agent Clay Quartermain to merge with the electric creature Zzzax, a process that gives Ross superpowers, but also makes him mentally unstable. He is later restored to human form but retains some residual energy-generating powers. Finally, a mutant who drains people of their life energy attacks Gamma Base in search for a strong host, in this case the Hulk. After witnessing Rick Jones (who was the Hulk at that time) and Banner heroically engaging the mutant, Ross, realizing that he has been wrong about the Hulk being a mindless monster, saves his daughter from being slain by allowing the mutant to latch onto him, and discharging the energy resources he retained from Zzzax. Giving his blessing to Bruce and Betty, he dies in his daughter's arms. Ross' body is later stolen by the Leader, who uses the powers of one of his followers to resurrect Ross. He turns him into a mindless replacement for his fallen soldier Redeemer. Ross is eventually recovered and revived by agents of the alien Troyjan, and returns to the Air Force. He would later come up with a more cost-effective method of confronting the Hulk when he is in his childlike stage: active non-resistance. He and his men simply do not fire on or engage the Hulk in any way. The Hulk, confused, does not smash and leaps away. Ross would make friends with Banner, but when Betty is seemingly killed due to what both Ross and Banner believed to have been Banner's gamma-irradiated DNA interacting with hers, he once more pursues the Hulk with a vendetta. Around this time, General Ryker takes over the pursuit of the Hulk. Ross is indirectly involved, observing when Ryker mentally tortures Banner to try to figure out how the Hulk works. The Hulk escapes from Ryker's control and after several adventures, is lost in space. After the Hulk returns from exile and initiates "World War Hulk", General Ross, now wearing the stars of a full general, makes his own return, electing to bring the fight to his nemesis once more after Iron Man is felled by the Goliath. After a failed assault on the Hulk, Ross and his men are captured and placed in chains under the watch of Hulk's Warbound, the army he has brought back from space. The Hulk is eventually defeated via satellite weapons that fire upon him, reverting him to human form. 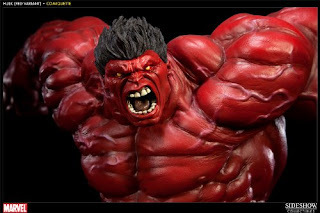 Red Hulk - (also known as Rulk) was introduced in 2008 in Hulk #1. The Red Hulk was created to be an uninhibited, tactically intelligent adversary to the Hulk. Although Kenneth Johnson, the creator of the 1970s TV series The Incredible Hulk, had suggested a red Hulk for that adaptation decades earlier, Marvel Editor-in-Chief Joe Quesada proposed the idea for the comics to debut a red version of the character, whose human identity was a secret. Initially, Red Hulk's identity was unknown both to the characters in the story and to the reading audience. 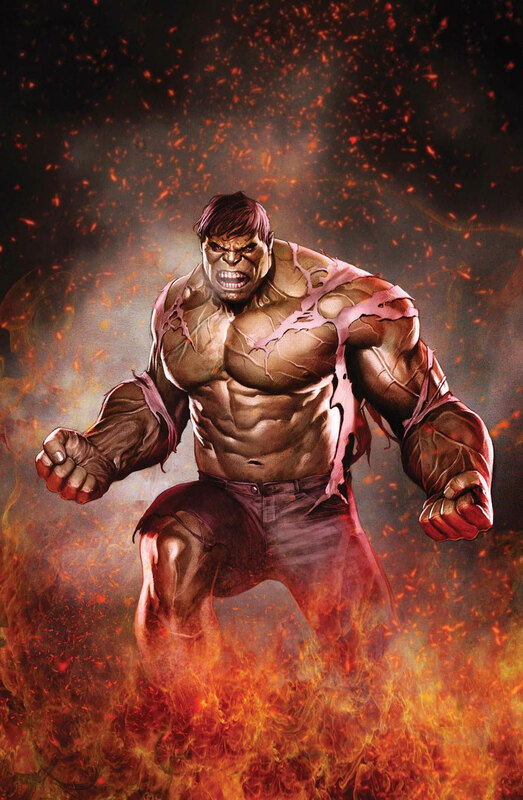 The opening story arc of the Hulk series that premiered in 2008 established that the character is very aggressive, as the Red Hulk murders Hulk foes the Wendigo and Abomination; destroys the Helicarrier of the spy organization S.H.I.E.L.D. ; defeats several Marvel heroes and, after causing an earthquake in San Francisco, is finally defeated by the combined efforts of the Hulk and the thunder god Thor. In a subsequent storyline, the Collector teams the character with other villains in a team called the Offenders, an evil version of superhero team the Defenders, in a bid to prevent the original Hulk from reuniting with past love Jarella. The subsequent "Code Red" story arc made further allusions to Red Hulk's real identity, and introduced a Red She-Hulk character. It is later revealed that the Red Hulk was created as part of a Super Soldier program by persons including Doc Samson, and the criminal think tank Intelligencia, headed by the Hulk foe MODOK. In Fall of the Hulks: Gamma, Red Hulk is related in flashback to have killed General Ross at the behest of Bruce Banner, with whom he has formed an alliance. 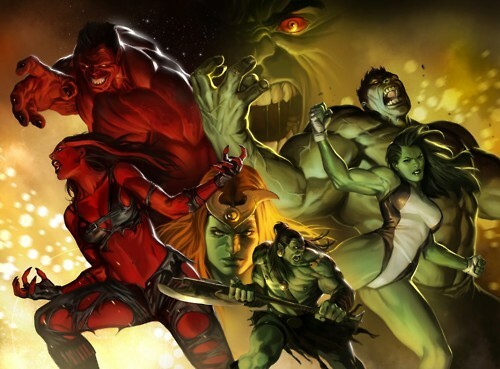 However, the 2010 "World War Hulks" storyline reveals that Red Hulk is Thunderbolt Ross himself, the Red She-Hulk his daughter Betty, and that the Ross who was "killed" was a Life Model Decoy used to convince the world that he had died. Red Hulk then thwarts the Intelligencia's plan to take over the United States with a Life Model Decoy of Glenn Talbot by destroying the Talbot LMD, and attempts to take over the country himself. He is thwarted by a restored Hulk (in possession of Banner's intelligence) who beats Red Hulk. Red Hulk tells Hulk that it was his idea to fake Ross's death and that he can never again resume that identity. After imprisoning Red Hulk in the Gamma Base, Banner makes arrangements with Captain Steve Rogers for Red Hulk to join the Avengers. After Captain Steve Rogers recruits Red Hulk, Red Hulk manages to stop Intelligencia's failsafe plan, "Scorched Earth." Although Banner had claimed that he removed Red Hulk's energy-draining ability from him because it was killing Red Hulk, Red Hulk is shown to still possess this ability. After the events of the Scorched Earth program, Red Hulk was paired up with a female Life Model Decoy named Annie. 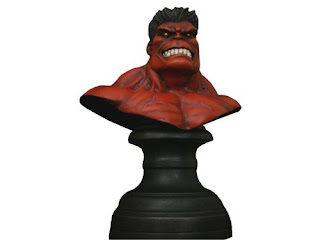 Red Hulk was occasionally assaulted by Thunderbolt Ross' former protege General Reginald Fortean (who used a special gun that caused remote-activated nano-mines to enter Red Hulk's brain that would take action if Red Hulk changed back), Zero/One (a scientist who was exposed to a virus created by MODOK), and Black Fog (a serial killer from India that was empowered by Zero/One). 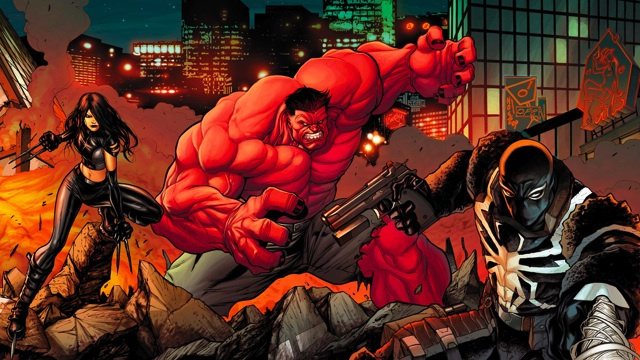 Red Hulk plays a vital role in the Infinity Gem crisis of the 2010 "Heroic Age" storyline. After being soundly defeated by a Power Gem-wielding Hood, he later helps Namor and Thor reclaim Namor's Time Gem from the ocean, and acquires the Power Gem from the Hood. Red Hulk is then inducted into the Avengers. During the 2011 "Fear Itself" storyline, Red Hulk attempts unsuccessfully to stop the Thing (in the form of Angir: Breaker of Souls) from destroying the Avengers Tower, as MODOK Superior and Black Fog converge on both combatants during the fight. Angir managed to knock Red Hulk far away from the city. Red Hulk is later located by Annie half-dead in a crater in Vermont. During the "X-Sanction" story arc, Red Hulk fights with Cable who mistakes Red Hulk for "Talbot" as Red Hulk tells him that his true identity is someone that Cable had never fought before. Red Hulk was infected with a techno-organic virus by Cable, but is able to superheat his body and burn the virus out of his system. During the "Avengers vs. X-Men" storyline, Red Hulk fought Colossus, damaging the pillar that held up the X-Men's island headquarters Utopia, and spurring Colossus to forfeit the battle. Considering the Phoenix Five a threat to Earth, Red Hulk decides to invade Utopia by himself and assassinate Cyclops. However, he is discovered by Emma Frost and confronted by several X-Men. Instead of imprisoning or murdering him, Cyclops sends Red Hulk back to the Avengers with an "X" carved in his chest. Nevertheless, Red Hulk considers that Cyclops lost the war the moment he spared his life. As part of the Marvel NOW! event, Red Hulk leads a non-government sponsored version of the Thunderbolts. During the Age of Ultron storyline, Red Hulk was with Black Panther and Taskmaster in Chicago where they were spying on some Ultron Sentinels. Their mission was to retrieve an Ultron Sentinel and bring it back to be examined. When Taskmaster gets spotted by the Ultron Sentinels upon taking out the one that was sneaking up on him, Red Hulk holds off the Ultron Sentinels while Black Panther and Taskmaster flee. After an explosion, Black Panther seemingly dies while Taskmaster makes off with the Ultron Sentinels' head. Red Hulk questions Taskmasters' motives and announces he does not "trust him", and kills him. General Thunderbolt Ross is a master strategist in war and military tactics. Marvel editor Mark Paniccia has described the Red Hulk as "absolutely uninhibited, tactically intelligent", while writer Jeph Loeb states "The Red Hulk is the kind of Hulk we haven't seen before — a thinking, calculating, brutal weapon-toting kind of Hulk." To further distance the character away from the original: "Everything the Green Hulk isn't, the Red Hulk is." The character has abilities almost identical to those of the current Hulk. The character can also emit heat at will from his eyes during non-enraged periods, and can augment power levels by absorbing various types of energy, such as gamma radiation (in one instance causing the Hulk to revert to alter ego Bruce Banner) and the Power Cosmic. When infected with Cable's techno-organic virus during the "X-Sanction" storyline, he was able to control this heat to burn the virus out of his system. Red Hulk was created through a combination of gamma radiation and cosmic rays. 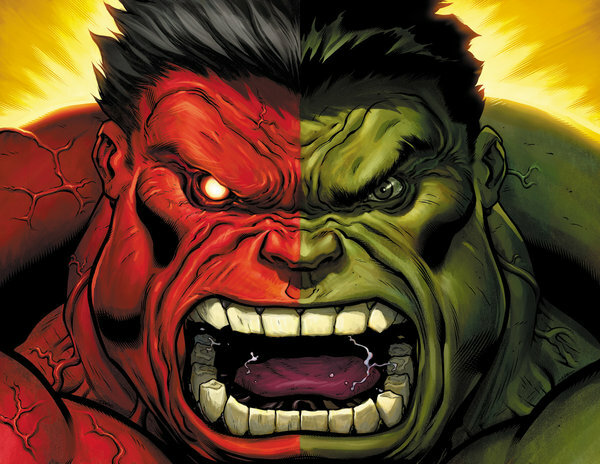 The satellites used to revert the Hulk to human form at the end of "World War Hulk" were used to power the device used to turn Ross into the Red Hulk. Unlike the green Hulk, the Red Hulk does not revert to human form when rendered unconscious, and his blood is a fluorescent yellow instead of green, remaining that color even in human form. 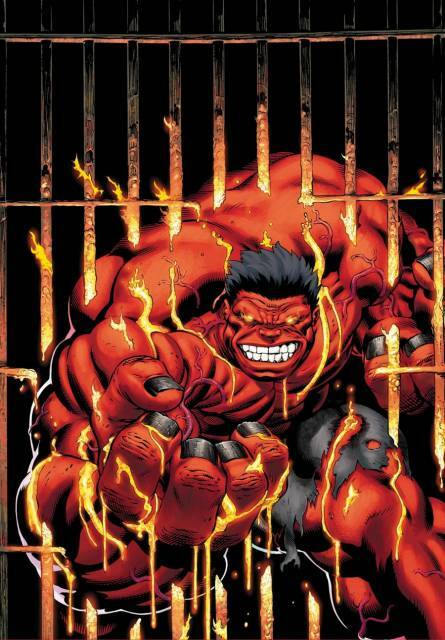 Unlike the green Hulk, who gets stronger as his rage increases, Red Hulk's body temperature rises with his anger. Though the heat is intense enough to melt desert sand into glass, it causes him to weaken when it becomes too intense, as his physiology lacks a cooling mechanism to deal with the excess heat. Red Hulk has also been shown to have a weakness to Negative Zone energy, which caused him burning pain and drained him when he attempted to absorb it. Actor Sam Elliott played the role of General Ross in the 2003 movie Hulk directed by Ang Lee. William Hurt portrayed General Ross in director Louis Leterrier's 2008 feature film The Incredible Hulk released on June 13, 2008.